Sunday nights often have optional training/activities to participate in. 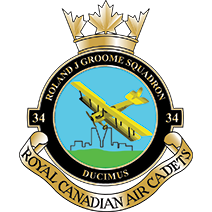 Occasionally, the squadron will have mandatory 3pm to 9pm training days for training such as uniform care, marksmanship training, fitness qualification, etc. The activities available to participate in on Sunday nights are listed below. In addition to the weekly training nights, every summer cadets around the country have the opportunity to attend summer training courses which vary from two to seven weeks spent at summer training centres around Canada. Just some of the courses that are offered include: band, sports, survival, marksmanship, aviation, mechanical, drill, leadership, and even getting your Glider Pilot’s License or your Private Pilot’s License, or spending three weeks on an international exchange trip to other countries! For more information, visit the summer training page.